I am just devastated reading about darling Emma. After having such a hard life in that horrendous cruel puppy mill, she is still having bad luck. I am so sorry your little girl has to endure this pain. Give her kisses on top of her head from me, please. 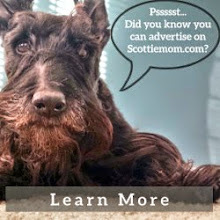 I am a Scottie lover. This is just so sad and unfair! Haggis and Lucy McNaughty send aroooos to Emma and I send kisses for the boopy nose. Oh how sad :(. 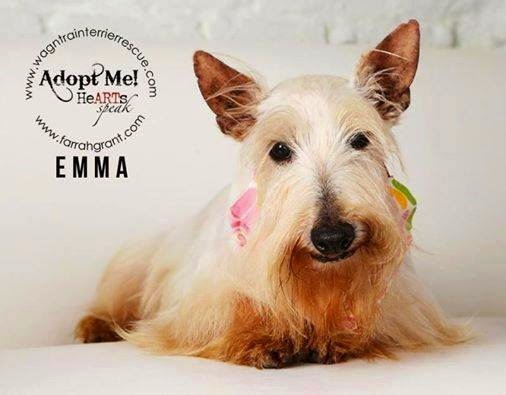 I volunteer for Wag N Train and recall when Emma was in foster care. How devastating. Lee has lost two scots to the evil "c" our hearts go out to Emma's family. Very sad. We just went through it, having lost Kyla to melanoma just a week before Christmas. Kyla was a rescue also. That's very sad, but I'm glad that Emma has had a happy home. So sad and many thoughts and prayers to you and your family. I have endured the tragedy of the evil C with two of my Scotties and it's truly heartbreaking. It is wonderful that Emma found you to take her on this difficult journey and she will not be alone and unloved in a cage by herself. That is so sad..... At least Emma got to find our what a loving home could be like. 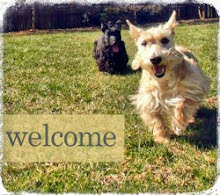 There aren't many scotties in Australia, so we don't have them in puppy mills. We wish all dogs could have loving homes. I'm sorry for you & your family. 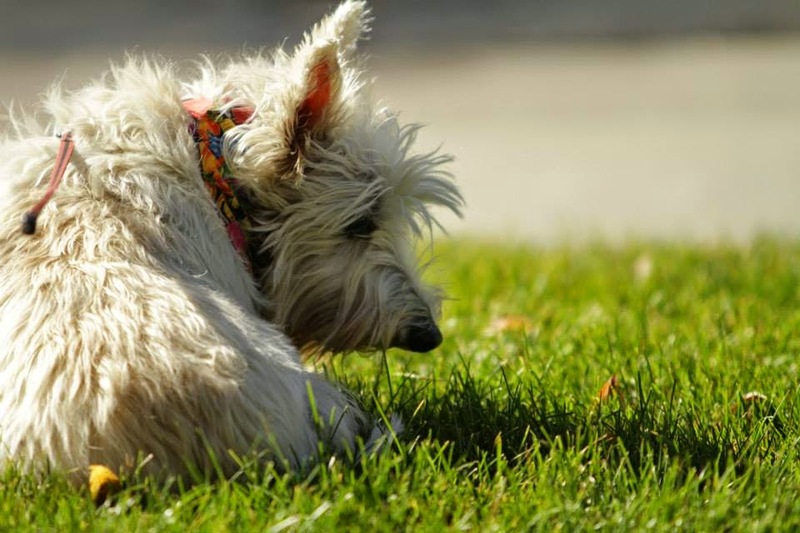 Out of our seven Scotties 6 have died from cancer. 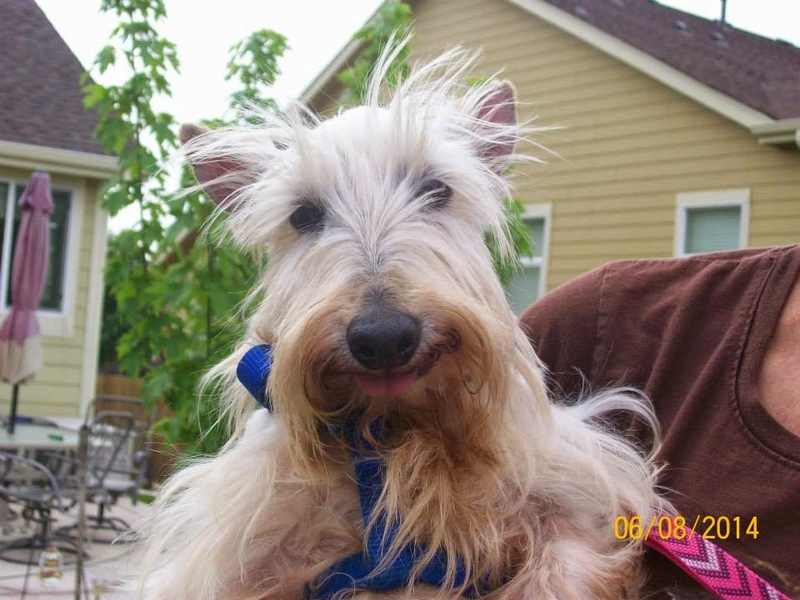 I'm so sorry to hear of sweet Emma's plight. This breaks my heart.